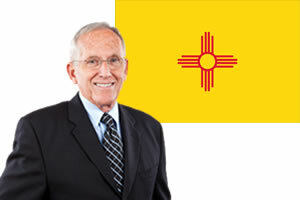 New Mexico’s personal injury laws vary from other state’s laws. Below are the most common personal injury laws in the state of New Mexico. Understanding your compensation rights and getting the help of an attorney is your first step towards filing a successful New Mexico personal injury claim. The New Mexico statute of limitations for filing personal injury claims is 3 years. New Mexico’s medical malpractice statute of limitations is 3 years. Product liability claims in New Mexico must be filed within 3 years from the date of the action or injury or 3 years from the date the injury should have been discovered. These statutes for New Mexico claims are subject to change, contact a New Mexico injury attorney for definitive statutes at the time of your accident or injury. Did you have a Car Accident in New Mexico? New Mexico is a fault-based state. Fault based systems allow the insurance companies to pay damages according to each driver’s degree of guilt. To recover compensation you may receive compensation from your insurance company (who will receive payment from the guilty driver’s insurance company), the other driver’s insurance company or file a lawsuit to seek compensation for damages of lost wages, medical expenses and property damage. New Mexico is one of thirteen (13) states which recognize the pure comparative fault rule, which allows a damaged party to recover compensation even if they are 99 percent at fault. Consider, however, that recovery for injury is reduced by the percentage of each party’s guilt. Are there Damage Caps in New Mexico Injury Law? New Mexico has a medical malpractice cap of $600,000 which does not include punitive damages, medical expenses and future medical expenses. Health care provider’s personal liability cannot exceed $200,000. Any excess of this amount is paid from the patient compensation fund. Workers, who are injured on the job, may be paid full medical benefits with no time or monetary limits under New Mexico workers compensation laws. Temporary total disability and permanent partial disability payments are paid based on a percentage of the workers’ wage, up to a maximum payment amount.